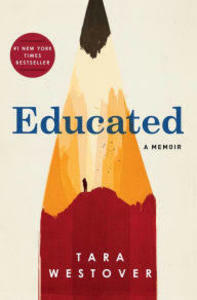 "Books Over Coffee" Resumes at Stratford Library on Jan. 23 with Tara Westover's "Educated"
The Stratford Library has announced its selections for the Winter-Summer 2019 series of “Books Over Coffee.” The monthly book discussion program has been a popular staple at the library for over 30 years. As part of its long-range plan, the library continues to offer the latest in current titles and topics for its patrons. “Books Over Coffee” is hosted by Stratford educator and author Kathleen Faggella. Other titles for the season will be the “Black History Month” selection, An American Marriage by Tayari Jones on Feb. 27, The Only Woman in the Room by Marie Benedict (March 27), Mad Blood Stirring by Simon Mayo (April 24), There There by Tommy Orange (May 29), and Where the Crawdads Sing by Delia Owens (June 26). “Books Over Coffee” is held in the Stratford Library’s Lovell Room beginning at 12 p.m. each month. Participants are invited to bring a bag lunch; coffee and tea are also served. Copies of all books are currently available for loan at the library’s Circulation Desk. The titles are also available for loan on Kindle and Nook eReaders. The discussion programs are free and open to the public.